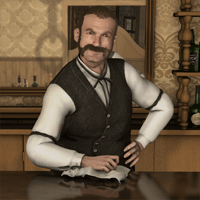 Play the free browser game The West and create your own avatar to follow in the footsteps of famous heroes of the West, like Billy the Kid and Buffalo Bill. Choose between the four character classes of dueller, worker, soldier, and adventurer, and complete exciting quests. Challenge other players to duels, build a town with them, and take part in strategic fort battles!